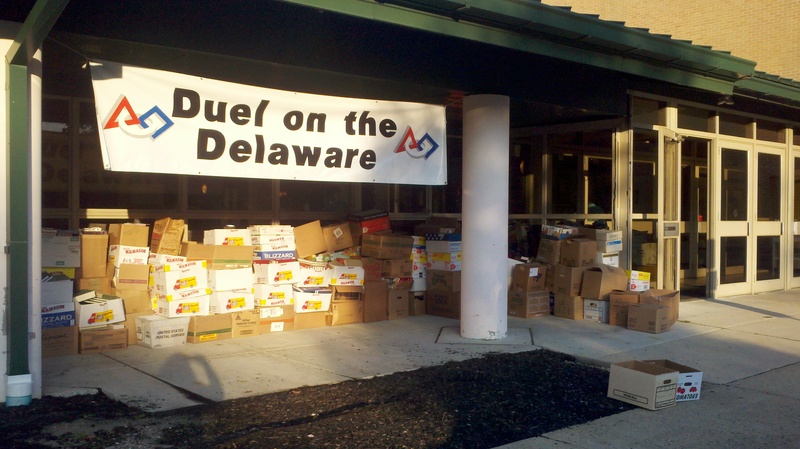 Duel on the Delaware’s Miracle of Reading Education Book Drive yields over 12,000 lbs. of books for Success Won’t Wait! – Success Won't Wait! Susan Conforte McNeill, John LaRock, Vincenza Carrieri-Russo Miss Delaware United States, and MOE 365 volunteers at the annual book drive. The partnership between Success Won’t Wait and First State Robotics (the hosts of the Duel on the Delaware) began in 2004 with a modest book drive, as part of a fledgling community service effort by First State Robotics. Since then, the event has grown in popularity, as teams vie for bragging rights (and a big trophy!) as the Miracle of Reading Education community service winners. Teams congregated for the competition at Salem County Community College on October 18. The final tally? An amazing 12,000 lbs. of books! This makes 2014 the second largest Book Drive in Duel on the Delaware history and pushes the total collected through the collaboration past 60,000 lbs. of books! A 16-foot box truck was needed to transport all of the books collected. Pictured are Success Won’t Wait co-founders Susan Conforte McNeill and Vincenza Carrieri-Russo with just a few! Special Shout Out, Team 533 Psichotics of Lindenhurst, NY, who delivered Team 271’s books — now, that’s dedication to community service! 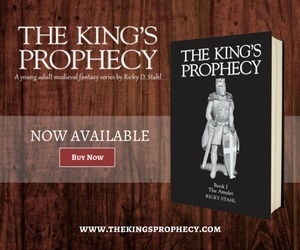 The books collected at this event will be used by Success Won’t Wait throughout the year to complete literacy projects for children, teens, and adults. Examples of current projects include the restocking of the Family Resource Center at A.I. DuPont Hospital for Children, creating mini libraries for seniors and children at Leon N. Weiner owned, low-income properties, ongoing children’s book giveaways at Nemours clinics throughout the state, and book donations to schools, after school programs, and organizations like the Boys and Girls Clubs of Delaware. The annual event would not be possible without the help of amazing student volunteers from Team MOE 365! Many thanks goes to all of the volunteers from Success Won’t Wait and First State Robotics who worked together to make the day such a success! Special recognition goes to Duel on the Delaware organizer John LaRock, who makes it all happen. A big thank you also goes to Shaun Christy of Penske Truck Leasing for his help securing a much-needed box truck! For more information about the event visit DUEL ON THE DELAWARE. Founded in 2002, Success Won’t Wait, Inc. is a not for profit literacy program based in Wilmington, Delaware. The organization’s mission is to encourage reading, particularly by children. Success Won’t Wait volunteers organize used book drives, calling on ordinary citizens to donate used books for redistribution in the community. To date, dozens of book drives have been held throughout the Mid-Atlantic at many different types of locations. By 7:30 a.m. the books had really started to pile up! Since 2002, Success Won’t Wait has collected over 650,000 books, with approximately 40,000 of those currently awaiting distribution. Previous Success Won’t Wait volunteer Christine McNeill wins the IDEA Award from Delaware Charter Schools Network for outstanding community service!